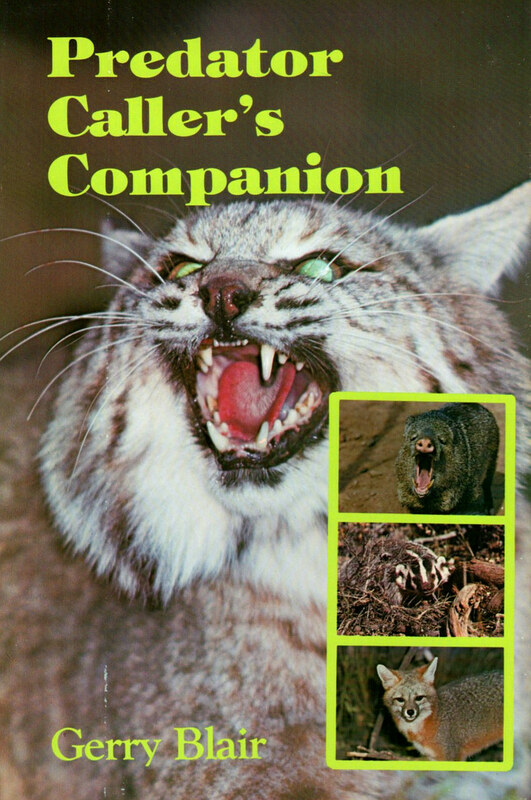 "Predator Caller's Companion" by Gerry Blair. An obscure wild game hunter's book title from the early 80s with chapters such as "Calling Bear", "Rifles and Loads", "Night Calling", "Reading Sign" and much more! A must for your hunting library. FIRST EDITION from 1981, profusely illustrated. Hardbound with original dustjacket. Stamped bookplate inside front cover. EXCELLENT CONDITION. Only one in stock.